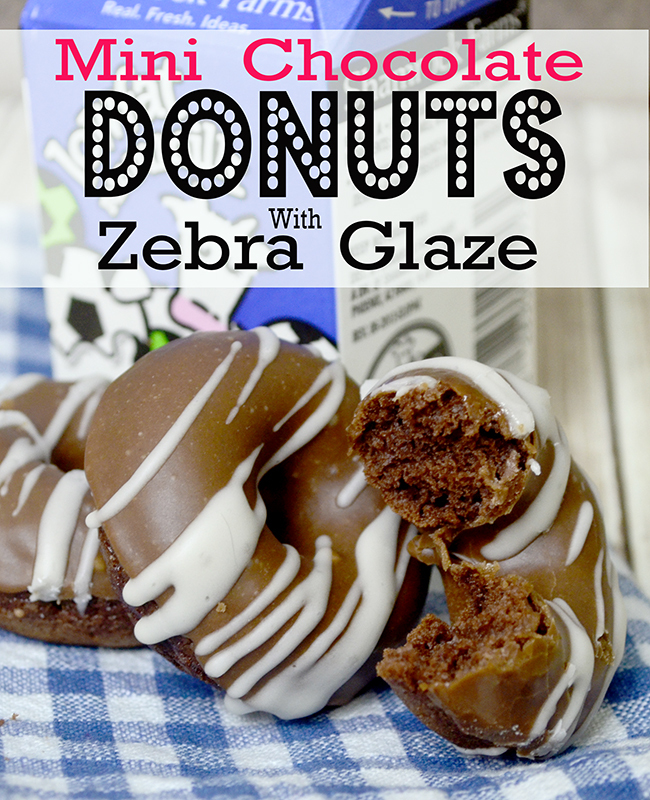 I love donuts absolutely love them but I hate making fried donuts so when baked donuts became popular I was so excited so today I have for you this yummy recipe for Mini Chocolate Donuts with Zebra Glaze!! 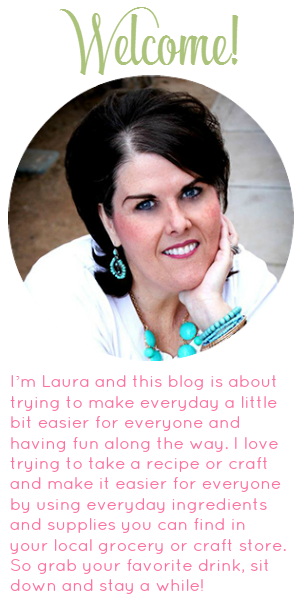 It is a super easy recipe and it uses less than 12 ingredients! These little donuts will knock your socks off!! They are moist and the glaze is so chocolaty good!! I could eat them all day long!! Prepare cake mix according to package directions substituting buttermilk for water. Bake in donuts pan for 15 minutes or use electric donut maker removing donuts when machine indicates donuts are done. Place on wire rack to cool. While donuts are cooling prepare glazes. Mix 1/4 t salt, plus chocolate and 2 cups confectioners' sugar in a bowl. Bring cream and 2 tbsp. water to a boil in a 1-qt. saucepan over high heat. Pour cream over chocolate; let sit for 2 minutes without stirring, then whisk until smooth. Dip tops of donuts in warm glaze and return to wire rack until set. Whisk vanilla extract and confectioners' sugar with milk in a bowl until smooth. 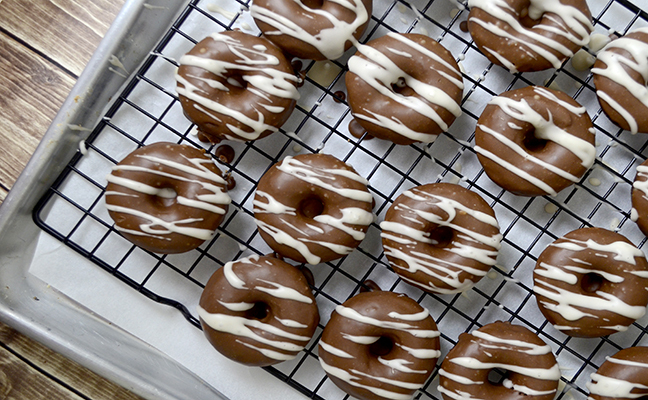 Drizzle over chocolate glaze with a fork in a zigzag formation. Return donuts to rack until glaze is set. 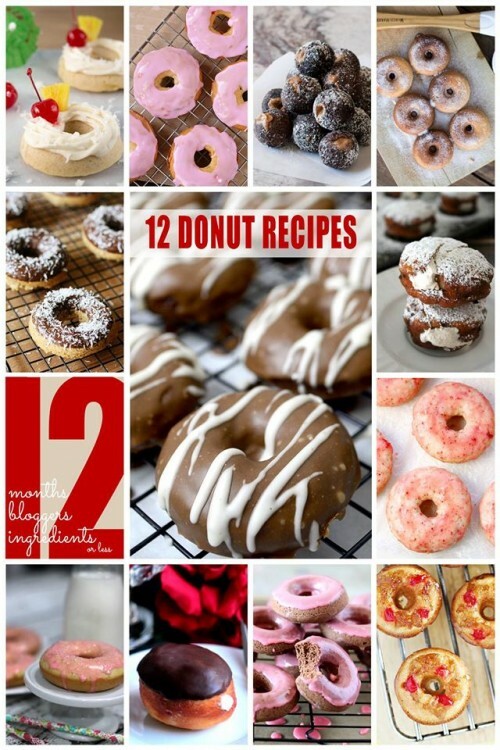 If your looking for more delcious donut recipes that are super easy and uses 12 ingrediants or less take a look at these recipes from my fellow 12 Blogger Buddies!